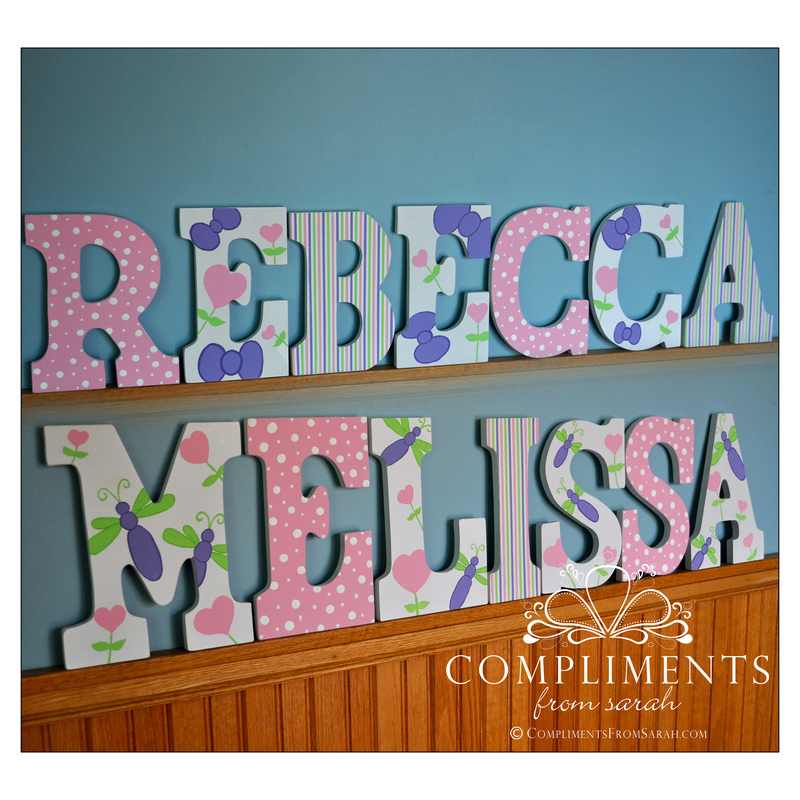 custom painted for twin baby girls, who share a room. they have similar, but different crib bedding sets. these letters were created to blend the color schemes while keeping their own individual themes.